← Not enough said about “Enough Said”. 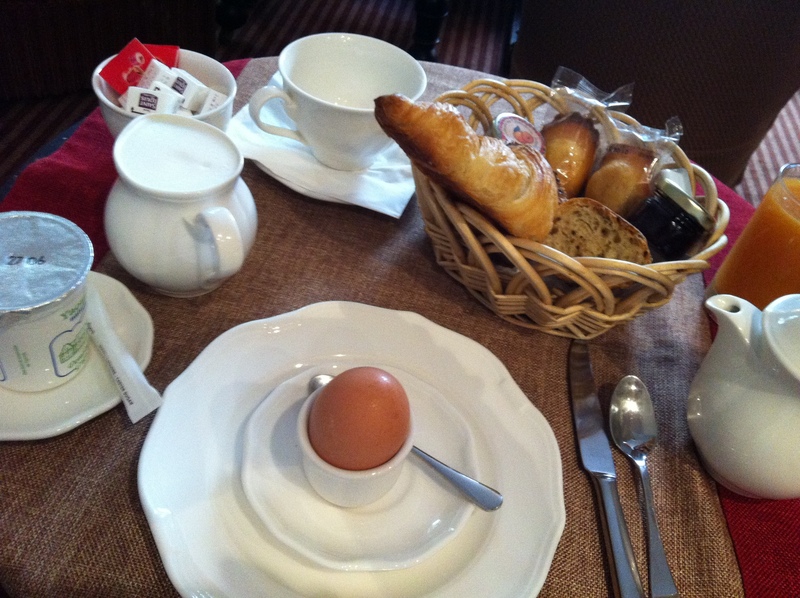 I ate an egg in Paris once that was so fresh I was transported back to my grandmother’s kitchen table. I could picture her stirring something over the stove in her soft cream sweater that she would hug around herself as she talked to me and yelled out to my grandfather. I always found her frustration with him funny and comforting. He could make her laugh until she couldn’t breathe. It would be early and she would have been a bit chilly having risen earlier than me. I could see her vegetable garden in the distance and the sunshine sparkle over her backyard. She grew up on a farm and loved that life. She taught me how to shuck peas and the joy of picking strawberries in an open field. I remember the first time we trudged through the tall grass and mud not understanding why we had to walk so far carrying that awkward basket…that is until I discovered her handmade whipped cream! Dipping the thin warm crispy buttered baguette into the soft hot yolk, I could remember the joy I felt when I ate this for the first time as a child. I could picture the farm where the egg came from. The chickens are happy there, they roam free…they wear berets. That is why I love eating in Europe, it transports you to places you have never been, and if you are really lucky, sometimes it brings you to the past. I now want to go to Paris to have my morning breakfast…isn’t it fascinating how food, smells, music have the power to bring you back to specific times and places in your life? Reading your post is as joyful and comforting as eating the fresh egg you described. You have such a gift! I love it!!! This made me smile for so many reasons… the memory you shared, the thought of my own dad in his garden – and my mother yelling after him about something or other while he effortlessly smiled and “ignored” her, and of course the reminder of how truly simple pleasures can certainly transport us to some wonderful moments in time. Loving the blog, my friend!